Family First Nutrition Pty (Ltd) was founded in 2013 by Zelda Ackerman RD(SA). Zelda’s passion for nutrition, children and families ignited a dream in her heart: to help families live and enjoy healthy lives together. Zelda Ackerman obtained her B.Dietetics degree from the University of Pretoria in 2002, where she received several awards. She completed her Community Service at Odi Hospital in Mabopane outside Pretoria, working mostly in Pediatrics. She started her career in dietetics at Pretoria Academic Hospital where she worked for four years in all the different areas of Pediatrics as well as Obstetrics. In January 2005 Zelda got married to Christo, who shares her passion for living healthy. Zelda left the Public Service to gain experience in the Private Sector at Unitas Hospital in October 2007. She became a mother in July 2008 and decided to be with her baby full time, while working part time at a private practice. After her second boy was born in March 2010, she started her own part time private practice, focusing on Pediatric patients. She served on the Gauteng Breastfeeding Forum Coordinating Committee from 2007 to 2010, have been a guest on Great Expectations (2007, 2010) and write articles for various magazines and newspapers. Zelda shares her knowledge on childhood nutrition with thousands of parents by writing nutritional articles monthly for Baba & Kleuter magazine since August 2010. In 2011 she featured in an electronic magazine: From Baby to Child, and do Pediatric Nutrition training for dietitians throughout South Africa. Zelda was blessed with a daughter in May 2013. She breastfed her three children for a total of 53 months. Zelda has been a guest on RSG programme Brabbeltyd several times and is a speaker at events for the public and dietitian. She is also involved in contract work for Woolworths doing moms store tours and school lectures as part of the Woolworths making the difference educational programme. In 2015 Zelda initiated Pongola parkrun and is currently the Event Director of this International activity event. She lives and active lifestyle with her family and completed the Comrades Marathon in 2016. 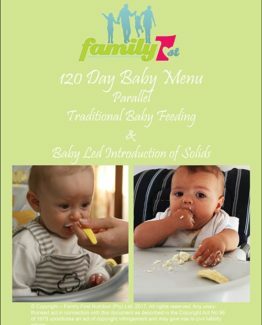 Zelda is extremely passionate about baby and child feeding and want to equip caregivers to teach their children to love healthy food and develop healthy eating habits. In May 2016, her first book Eet Reg was released. Having family as one of her most treasured values, she also has a huge passion to see families eating and living healthy together! Last but not the least, Zelda and her family wants to live God honoring, Christ centered lives. It is because of Him that this is possible! We help families to live and enjoy healthy lives together. To become the leading International organisation that enables all members of families to live healthy lives together and seeing children thriving, families enjoying intimate relationships and lifestyle disease rates drop.